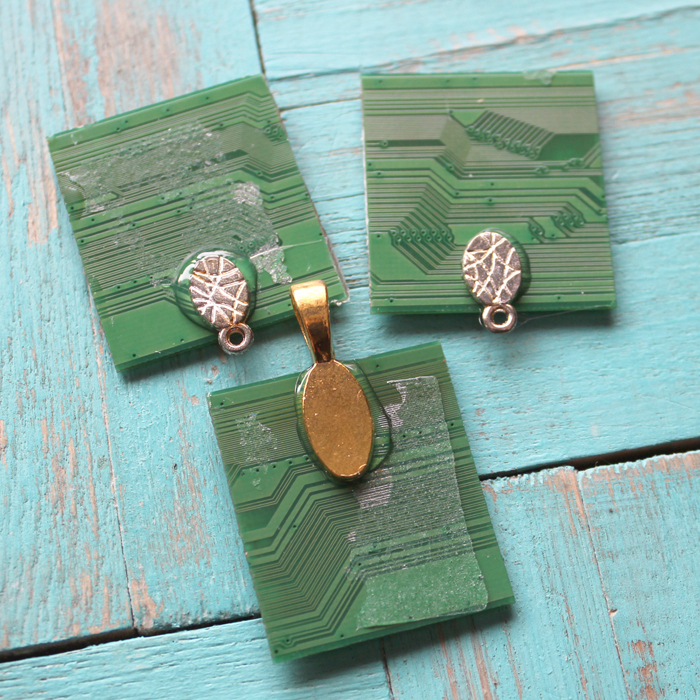 Hi Resin Crafters, it’s Natalie from Doodlecraft sharing a fun upcycled motherboard jewelry set. Have you pulled apart an old computer or electronic device? 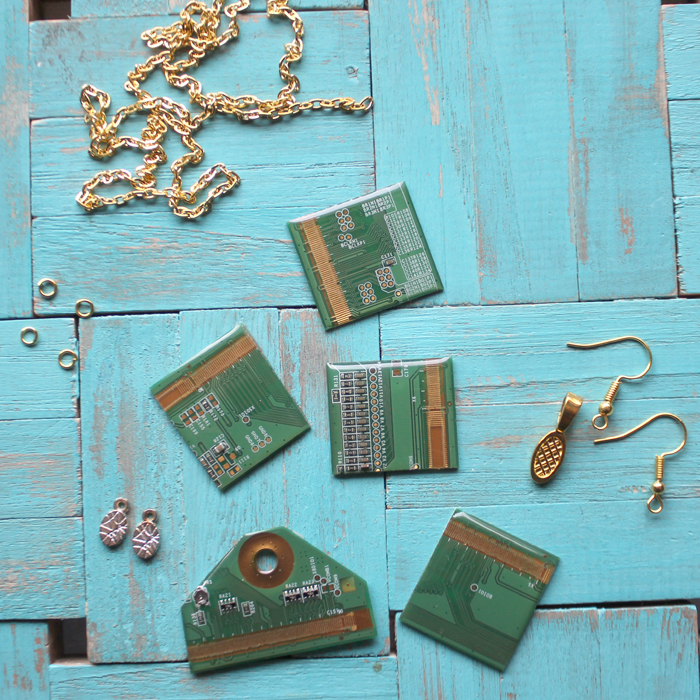 Save the green and gold motherboards and turn them into a uniquely fashionable set of jewelry. 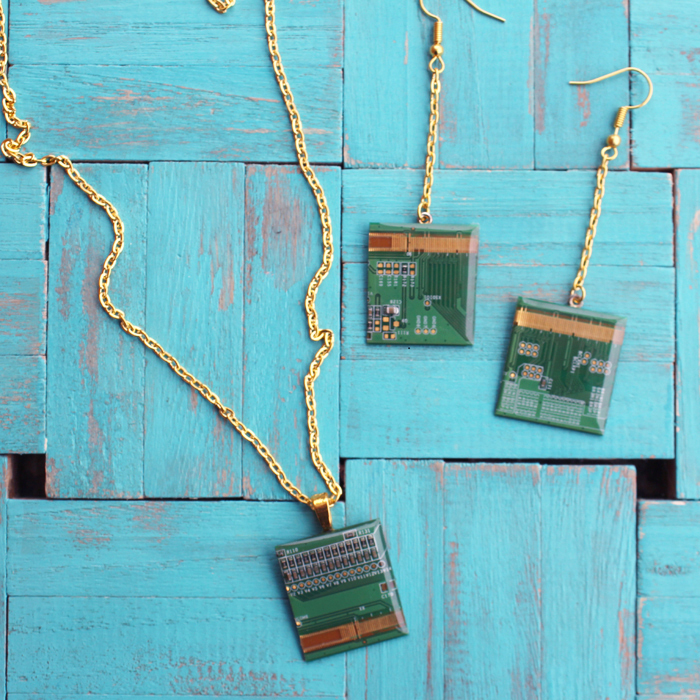 An especially darling set of earrings and a necklace. 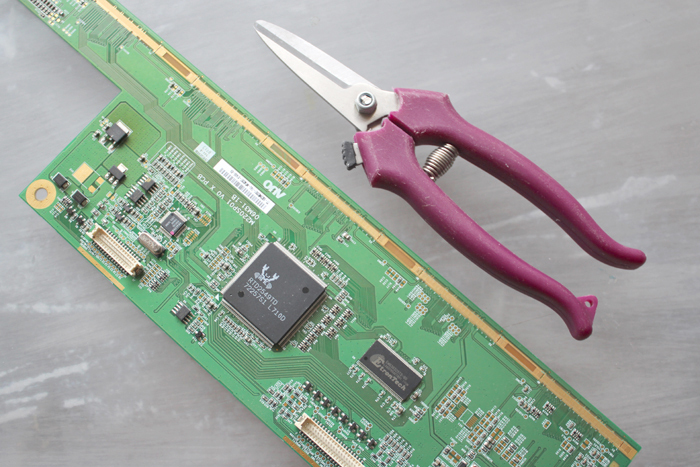 Step one is to cut the electronic motherboard into pieces. 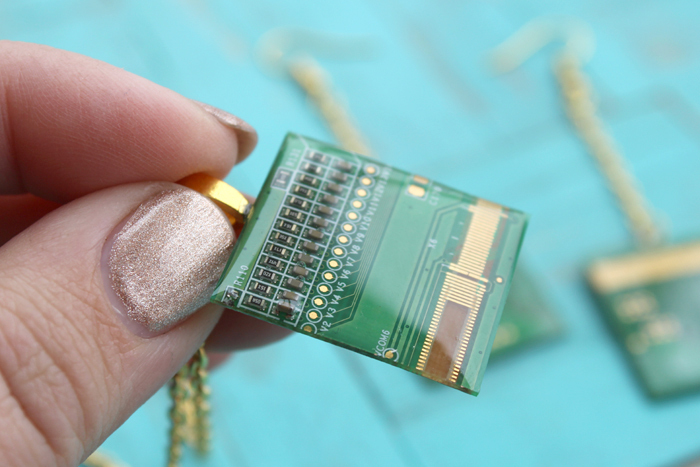 Make them a decent size for jewelry, approximately 1 inch squares. Use the painters tape in a loop to secure them to the disposable work surface. 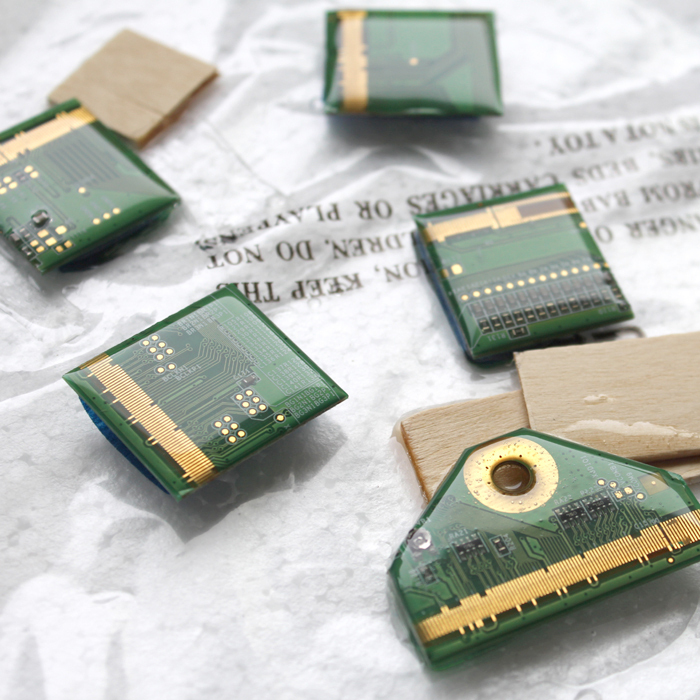 The tape holds them slightly higher than the surface, so the resin will not adhere it to the surface. 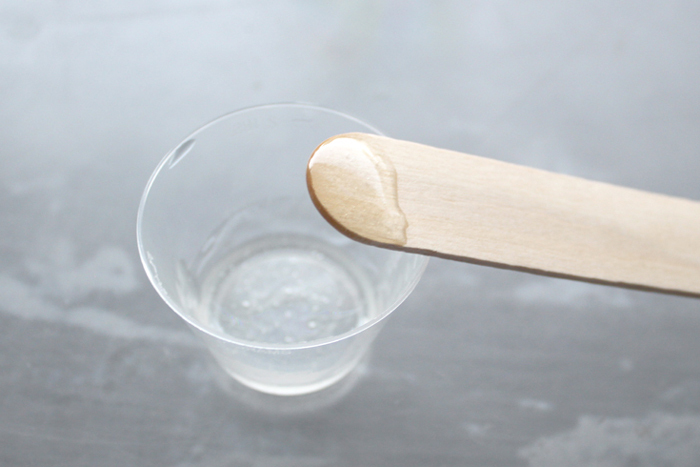 Read the directions for the resin carefully and mix it according to the package. 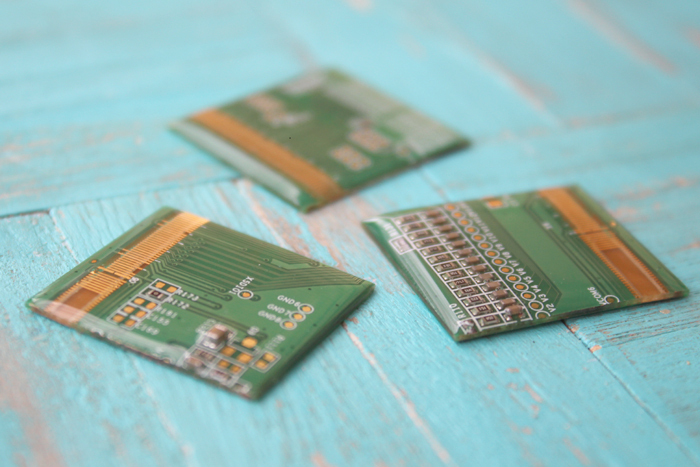 Now use a stirring stick to pour some high gloss resin onto each motherboard square. 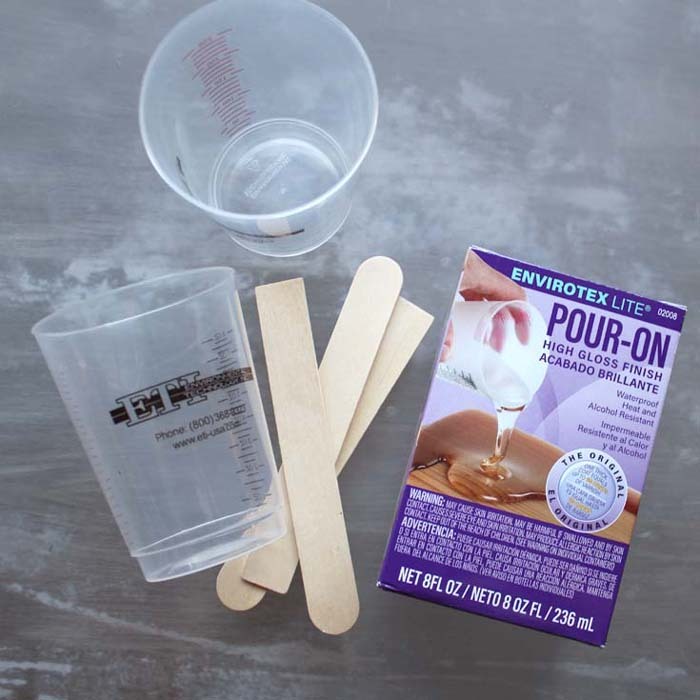 Use extra stirring sticks or cardboard to the keep the pieces raised and level. Then let them dry and cure completely. They will have a wonderful shiny dome over the top with no rough pieces sticking up. Next, get the jewelry hardware ready. Including: 27 inches of gold chain, 4 jump rings, 3 Pendant bails. 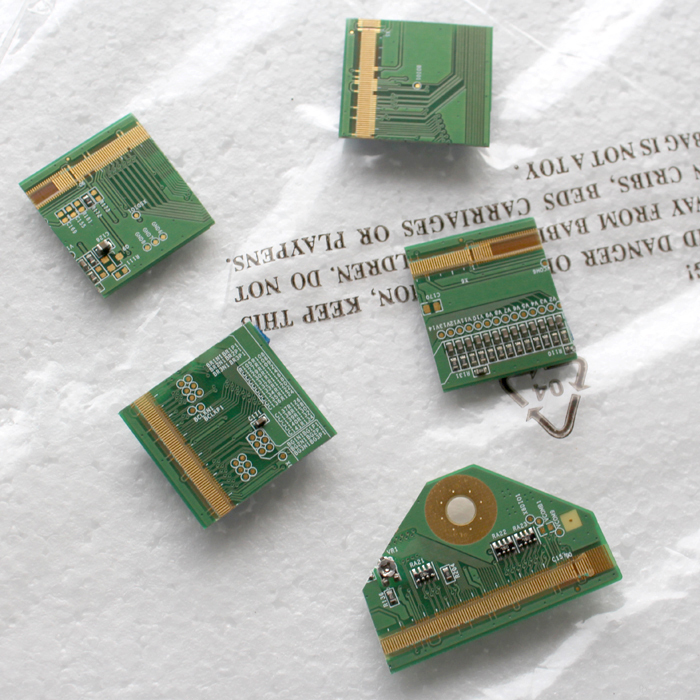 Use the E6000 glue to adhere the pendant hardware onto the backs of the motherboards. 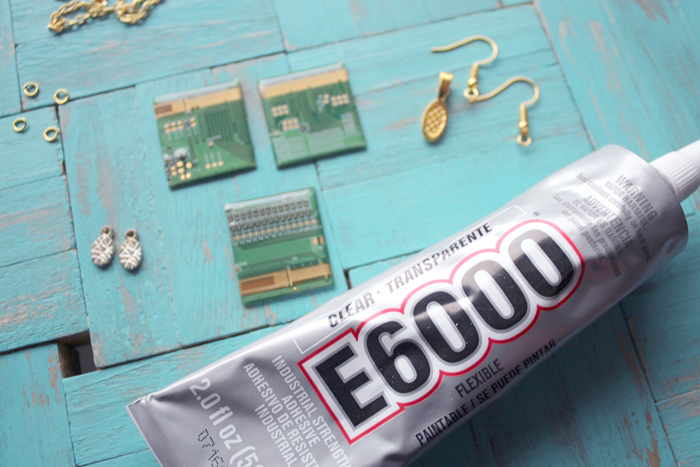 Let the E6000 glue dry completely for at least 4 hours. 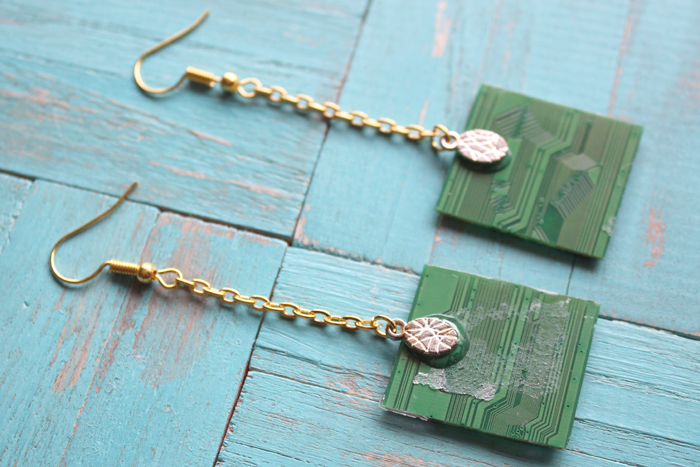 Then attach the chains and hooks to the earrings. Then hook the chain to the necklace pendant with a jump ring. 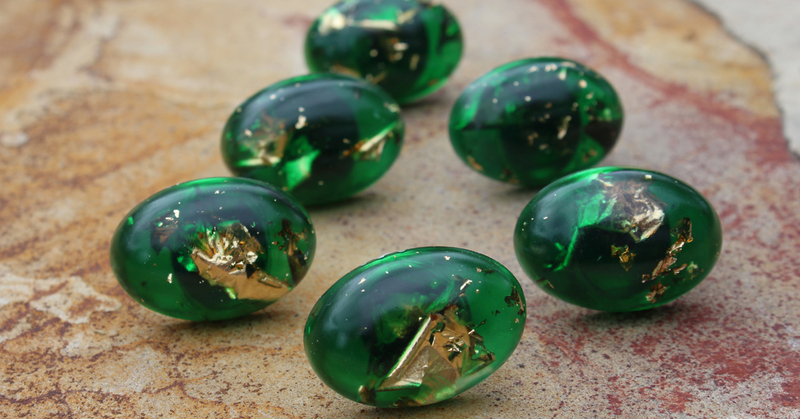 They are unique and stunning! I love a stunning green and gold combination. 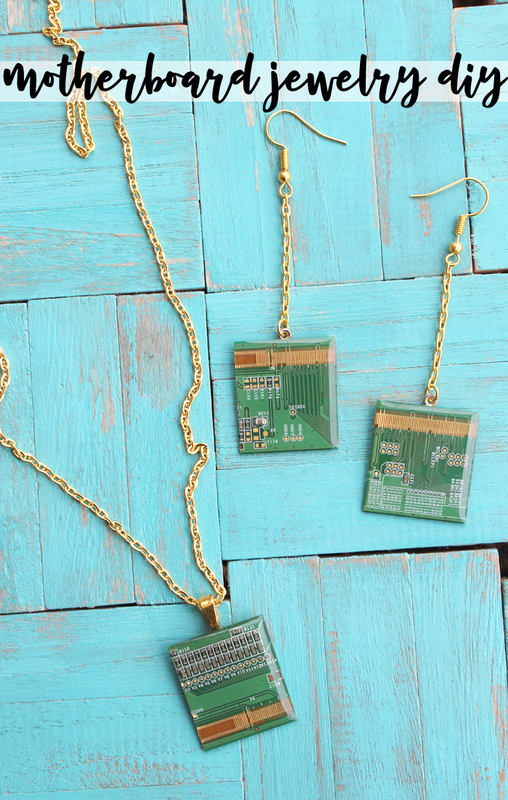 A matched set of jewelry is an especially great handmade gift. Like, Pin and Save for later! This idea is awsome crazy! I must try! Thank you.